Aurora is one of the major cities in the Denver/Aurora/Lakewood Metropolitan area, which is home to a population of 2.5 million residents. 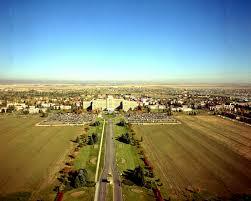 Aurora city itself is home to approximately 325,000 people, and covers a geographic area of around 150 square miles. It has a relatively low overall density, with a built-up urban center and a sprawling suburban and semi-rural surrounds. Aurora’s climate is best classified as a ‘semi-arid climate zone’, with four distinct seasons and moderate precipitation levels throughout the year. Summers are typically warm to hot, while winters are cold, with the possibility of extreme cold. Aurora experiences frequent thunderstorms during the summer and also sees a highly volatile tornado season extending from April through to July. These conditions mean the pest issues are generally the most active in the warmer summer months, although pests may also try to take refuge from cold temperatures in homes during the winter months. Common pest complaints in the Aurora area can include carpenter ants, spiders, and wasps. Carpenter ants can cause significant headaches for homeowners. Like termites, these ants burrow into the lumber of a structure. This can lead to significant damage over time, and the very structural integrity of a residence may be compromised by a moderately sized carpenter ant population. Unlike termites, carpenter ants do not consume the wood that they chew through and for that reason are likely to enter the interior of a home to forage for food scraps. The presence of even just a few carpenter ants can indicate a serious infestation problem that merits immediate treatment. If carpenter ants are found at a property, one should call a pest control agent immediately to organise an assessment for infestation and extermination of any ant colonies found inside or nearby a domicile. There are a range of different stinging insects that can be found in and around the Aurora area, which can present a significant problem to residents and homeowners. The primary concern with wasps is the painful sting that these insects can deliver. Combined with large, swarming populations and typically aggressive behaviour, wasps can prove to be a dangerous pest. A particularly common species of wasp in the Aurora area is the paper wasp. This variety, though not as aggressive as hornets or yellow jackets, their ability to easily create nests in and near a domicile can prove to be of particular concern. Paper wasps are particularly territorial and if they or their nest is threatened, may respond by attacking the perceived invader in large numbers. Many people can be severely allergic to the stings of wasps and other stinging insects. As such, if a wasp infestation is suspected, removal should only be attempted by a certified exterminator.